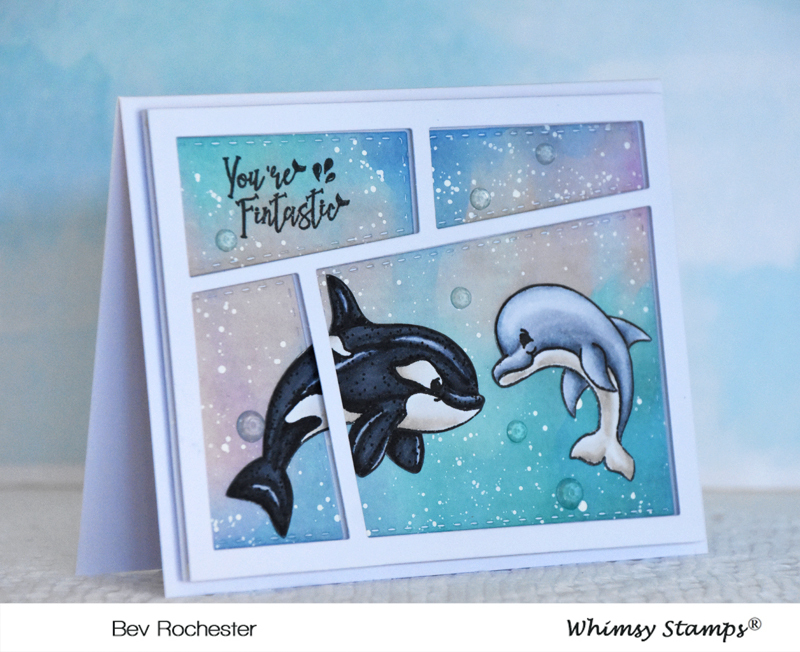 The stamp set is called Whale of a time (from Whimsy Stamps) and a whale of a time I had making this fun card. It was so, so simple to make even if it’s a million miles from mu fussy and foofy cards! I used some patterned paper and splashed some while paint over it to resemble bubbles and stamped a sentiment from the stamp set into the top window. After colouring the sweet whale and dolphin I fussy cut them and adhered them on to the backing paper. 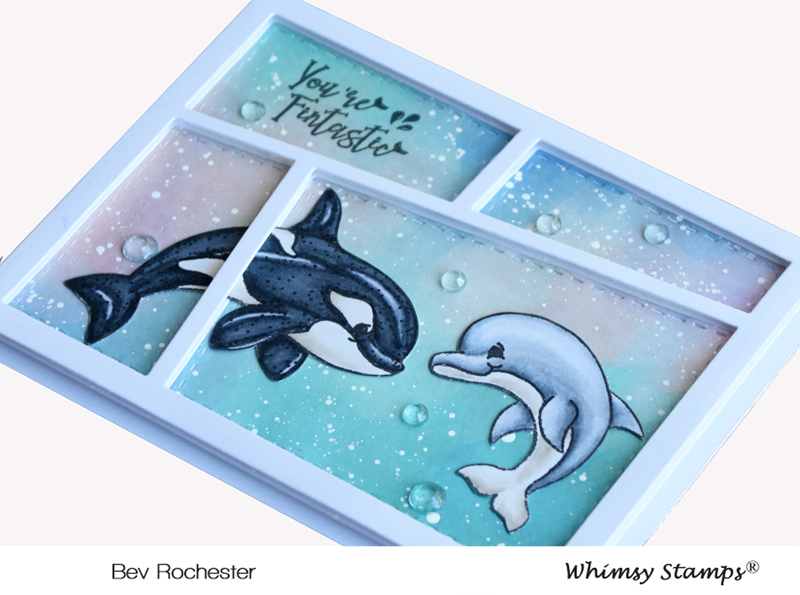 Aren’t these stamps just the cutest, they are the prettiest sea life I’ve ever seen …. made this old hard heart melt in a puddle of goo, I tell ya lol. I die cut the new Wonky Window 1 die and popped it up on some foam tape and attached it to the base of the card. 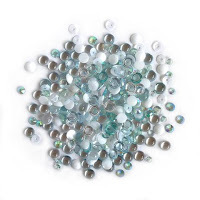 A few clear dew drops for bubbles from the Island Breeze Sparkletz bling and job done. 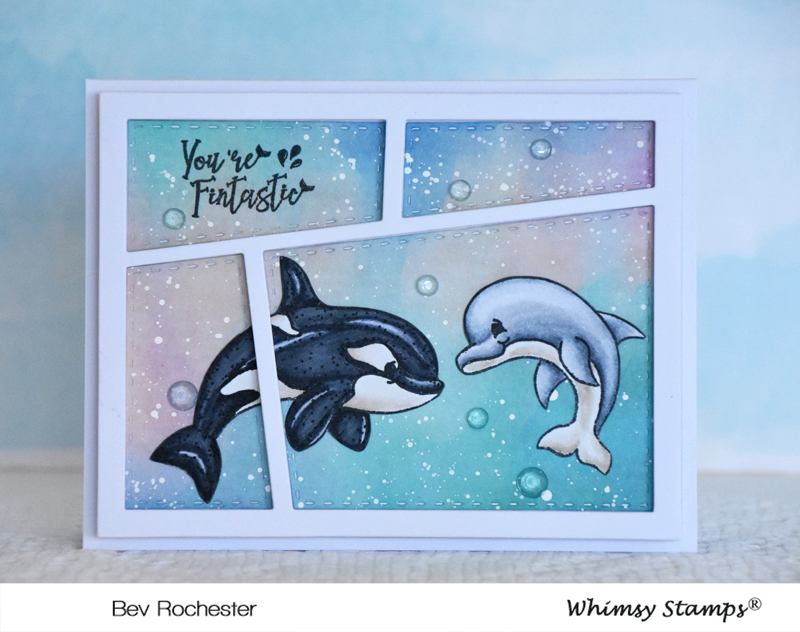 A super quick, easy and cute card to make.